Around 1964, a youthful singer called Vinley Gayle made a handful of ska records in Kingston, Jamaica. One of them was even issued over here. But his promising career was cut short when, the following year, his family emigrated to Great Britain. 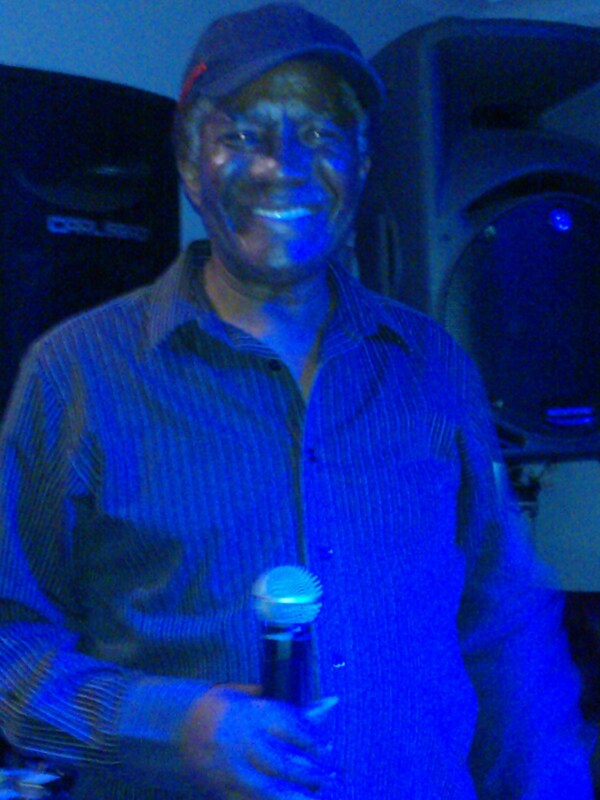 I've just discovered that Vinley settled in Sheffield - not only that, but he apparently is still singing, appearing at local pubs and clubs. Has anyone seen him "live"? Has anyone any photos? Vinley certainly is still performing! In fact tonight he'll be singing at The Forest on Rutland Rd Sheffield where he is a regular artiste. He's still resident in Sheffield and the selection of songs he performs is second to none! If you get the chance to see 'Vinnie' don't miss it! Thanks Bev! I assume that you took the photo; would you mind if I saved it and published it on a vintage ska and reggae forum of which I am a member? I wonder why he's never booked to appear at any of the ska festivals which happen around Britain. Could you please tell me some of the songs which he sings? Does he still sing mostly ska (or "blue beat" as we used to call it as kids) or different music? 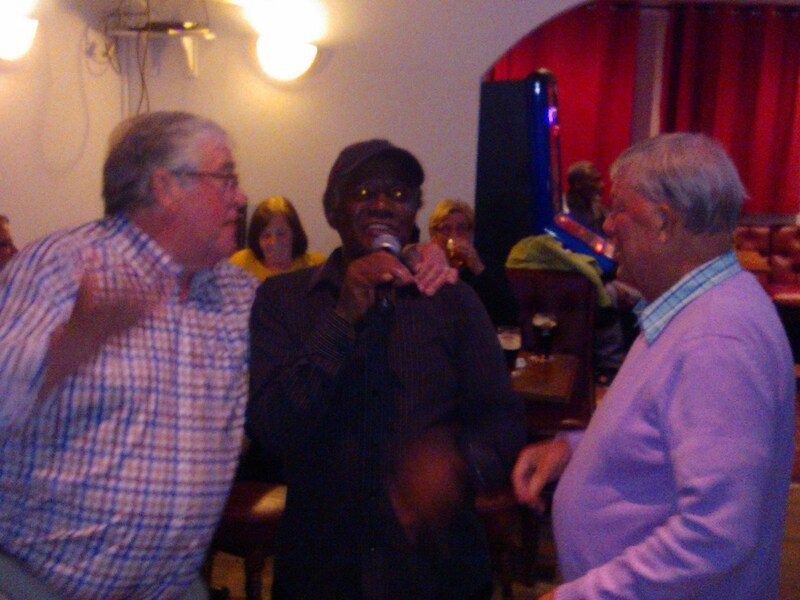 "Vinny" is still active and singing around the pubs in Pitsmoor. I was talking to "Vinny" Sunday night, 3 Dec. in the Normanton Hotel, Earldom Road. 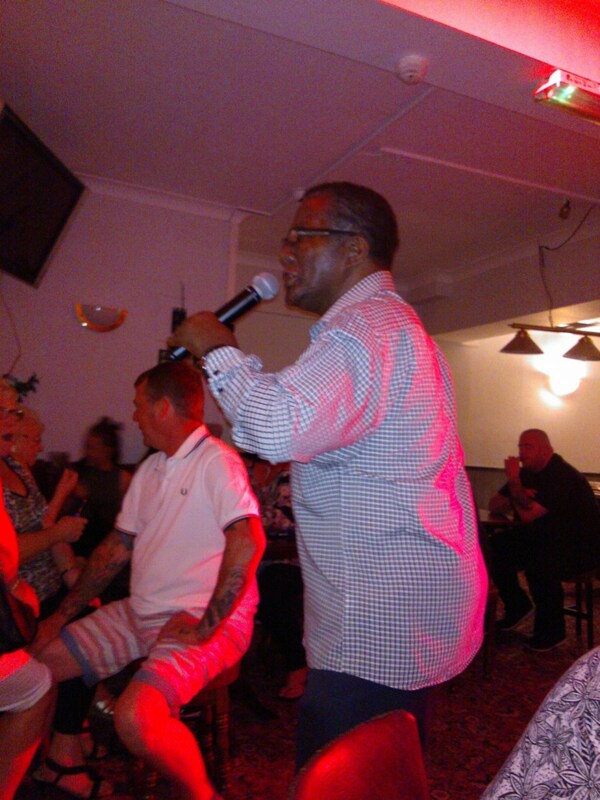 Vinnie does lots of the old favourite soul, Motown & Reggae songs that we know and love from the sixties onwards. He's at The Forest again this Saturday - so it'll be a late one! Superb, thank you very much for going to the trouble of posting these. 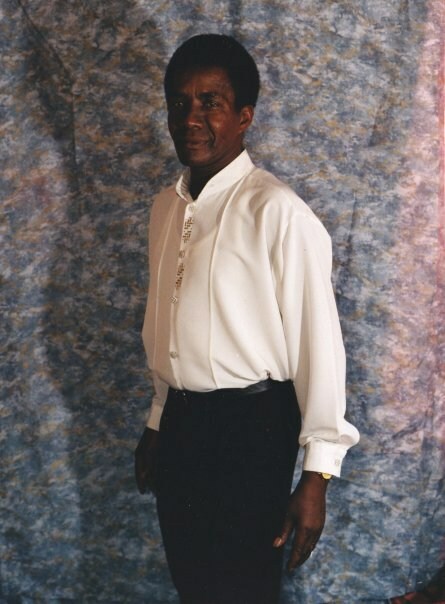 Would you mind if I reproduced the photos on a vintage ska and reggae forum of which I am a member? Not for any commercial gain, you understand. I posted it on the old ska and reggae forum and got lots of "likes" and comments. One music historian from Sweden even sent me this photo from 1963. 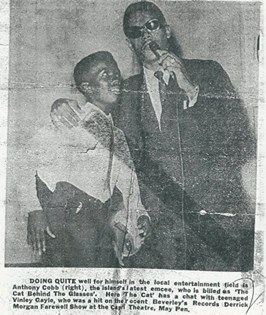 It shows Vinley with compere Anthony Cobb at a big show, headed by Jamaica';s biggest star of the time Derrick Morgan, on which he appeared. Thanks to Ludde Myrsell for permission to reproduce it. Bev's photo now has 26 "likes" on the vintage reggae forum, so obviously quite a few people remember the name.